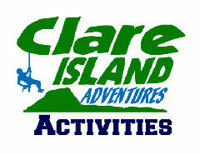 The second member of Clare Island Adventures, we are the guys that look after your accommodation, food and entertainment. We guarantee a comfortable night’s sleep, quality locally sourced food and great craic with plenty of live music overlooking one of the best views in the country……. 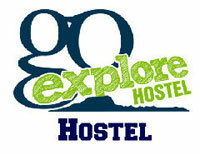 Go Explore Hostel is owned and operated by Carl O’ Grady, a Clare Island local. Originally the House of the O’Donnell’s (landlords of the Clew Bay area in the mid 1800s), the hostel building was completely renovated in 2012 and now offers modern, high quality food, beverage & accommodation facilities. Sitting on top of a small cliff, surrounded by open Atlantic waters, stunning views can be appreciated from all bedrooms, the common room and the on-site bar/restaurant. We’re proud to have created a warm and welcoming space, and we invite you to come experience it for yourself. The hostel experience brings groups closer together helping team building and internal co-ordination and organisation. The hostel can accommodate groups up of to 42 in modern en-suite dorm style bedrooms. We also operate a 3 star B&B close to the hostel which can accommodate those that would prefer not to share accommodation (note – B&B rates are not included in standard packages). Its a great option if you want the best of everything on this lovely island – a genuine friendly welcome, comfortable accommodation, spotless facilities and amazing amazing food! The staff couldn't have been nicer and all went out of their way to make sure we had everything we needed for our unscheduled stay on the island! The restaurant had great food and the rooms were warm and comfortable. 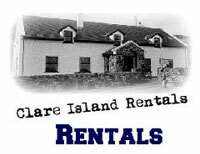 I would highly recommend the Go Explore Hostel for anyone wishing to visit the beautiful Clare Island.